Are you tight on the budget but want a quality flashlight? Look no further as the Peakplus flashlight is sold at a very affordable price but still offers features of top brands. Why I selected Peakplus Flashlight? With such features, the Peakplus is a good flashlight for outdoor activities and as an emergency light. Read the Peakplus flashlight review to find out more about this led light. Why you should consider to buy peakplus flashlight? There is no good thing like having a flashlight that you can easily switch on/off and cycle through the different light modes without any challenge. That’s what you get when you purchase this amazing flashlight from Peakplus. The soft-touch switch is soft to touch as its name suggests. So, if you’re ambushed or need the light abruptly, switching on/off won’t take a lot of time. 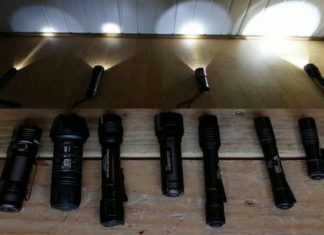 Since the introduction of LED bulbs, many flashlight brands have been able to come up with a more powerful and reliable flashlights. In the past, flashlights were big but the LED technology made it possible to have compact and small flashlights like the Peakplus flashlight. The Peakplus flashlight also uses LED with a lifespan of 100, 000 hours. The bulb is indestructible and produces an excellent bright white light. With the uses of flashlights growing by the day, it is vital that you purchase a sturdy and durable flashlight. It doesn’t matter if you’re only buying a flashlight as a lighting tool or for defense. The sturdier the flashlight is the greater it will defy tough conditions. For this reason, you need a durable made flashlight like the Peakplus flashlight to defy abrasion and impact while in use. A good flashlight should give you a lot of options when it comes to light produced. Most of today’s flashlights feature at least 3 light modes. But the most advanced flashlights have at least 5 light modes or even more. Peakplus flashlight offers its users with 5 light modes which are high, low, medium, SOS, and strobe modes. Different light modes are important as they help you use the right light in different scenarios. For instance, strobe mode is for disorienting the enemy while the low mode is for reading a map. Another top feature of the Peakplus flashlight is that it provides users with two battery options. The flashlight can be powered on by either one lithium-ion battery or 3 AAA batteries. This not only helps the user to have a standby battery, but it also assists them to have an alternative power source in case there is no any charging source nearby. The 18650 lithium-ion battery lasts longer than the AAA batteries. Also, it is brighter and economical in the long run. If you’ve been looking for a compact and lightweight flashlight to carry on a daily basis, this is the light for you. Not only is the flashlight compact and lightweight, but it also features a case for secure storage. 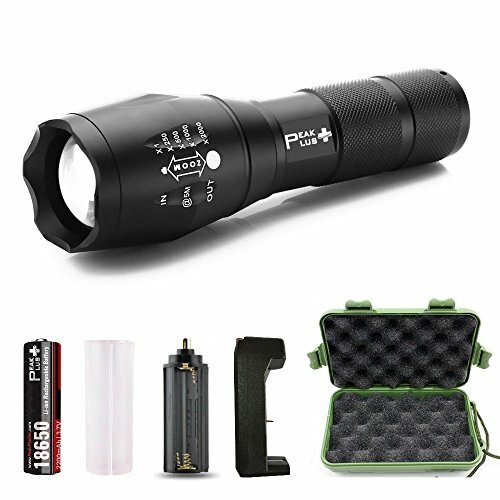 Whether you’re looking for a quality flashlight for hunting, hiking, camping, fishing, or for any other outdoor activity, the Peakplus flashlight is suitable for you. This is because it has a longer run time and features different light modes for different activities. When you purchase this flashlight, you will get a one-year warranty from the manufacturer. This means that you can always contact them if you’ve got a problem with the flashlight or receive a defective light. Many clients have complained that the flashlights are not as bright as they say they are. 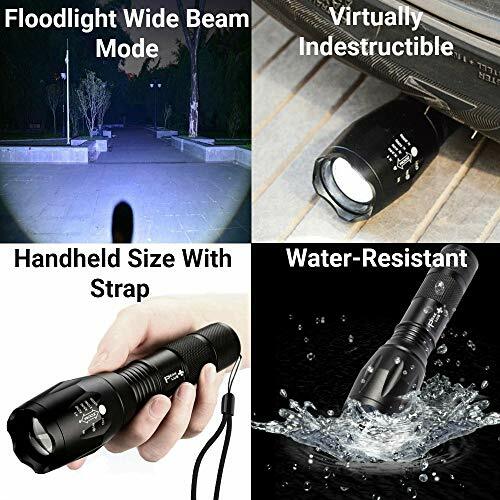 So, if you’re looking for an extremely bright flashlight, maybe you should look somewhere else. Another complaint was about the switch. Many users have complained that the switch is fragile as it changes modes easily when in motion making it unreliable. I hope this Peakplus flashlight review article will help to take the right decision. Question: How long does it take to fully charge the Peakplus flashlight battery? Answer: It is recommended that you should charge the 18650 battery for at least 4 hours. So, for a full charge, 4 to 6 hours is fine. Also, after purchasing the flashlight, you should charge the battery to full capacity so that it can hold power in the future instead of using it first. Question: What type of battery does the Peakplus use? Answer: The Peakplus is powered by two types of batteries. These are one 18650 battery or 3 AAA batteries. If you want a longer run time or greater brightness, the 18650 lithium-ion battery is the best to use. The AAA batteries can act as spare in case the lithium battery runs out. The charger included in the package is only for the rechargeable lithium-ion battery and not the AAA batteries.